I am an old school Trekkie. Before the future descended upon us, I was used to meeting (IRL, you remember that, right?) once or twice a year, with like-minded geeks and discussing TV in loving, nerdy detail. Then came BBSs & Usenet which allowed us to gather virtually and discuss the currently hot show de jour on an episode by episode basis, in almost real time. Cut to 2019. Discussion panels at conventions are mostly a thing of the past as cons have gone from being fan-run events to ComicCon style commercial behemoths. 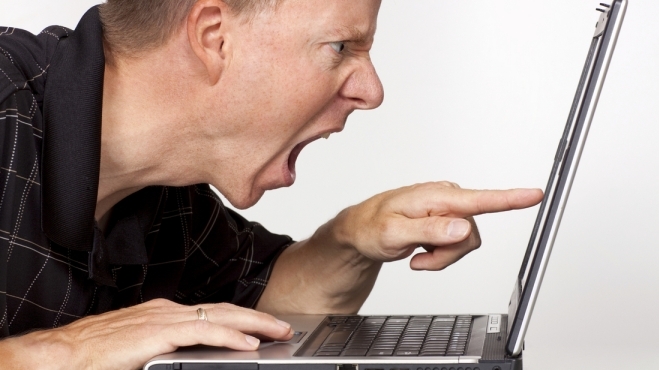 And while online discussion forums haven’t disappeared, they sure have changed. 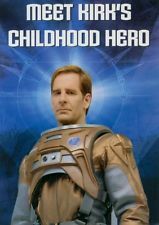 I am currently watching both Designated Survivor and Lost in Space on Netflix (and enjoying both). Since Netflix has given us the gift of non-appointment viewing which means I can hop on a show whenever, Designated Survivor has two full seasons already and Lost in Space has one. This means that while I can’t contribute to an up to the minute, topical discussion of the episode, but I can go online after the fact and see what others thought, and see how it jives with my own opinion. Since Reddit is the place to go for online discussion forums on any topic, I thought I would have a look at the relevant subreddits for each show to see what the hot points of discussion were on each episode. The episode threads for both of these shows are snarky, vitriolic, dumpster fires. Now, I am used to a certain amount of snark from my many years in fandom, but we snark because we love, and unless the show was particularly awful, the criticisms were always tempered with copious amounts of fannish squee. But holy cow these two subs. The shows are pretty decent, but rarely do I find them saying anything good about an episode. It’s just a constant piling on the the plot lines, acting, special effects and writing (I mean, who cares if the special effects for Designated Survivor were substandard in that one scene – its not an FX based show). Now, I am familiar with the concept of a hatewatch (link), but every single person posting cannot be hatewatching these shows. It’s not statistically possible. And even with a hatewatch, you generally continue to watch because you had hope for the premise of the show and hope that it will get better (this is how I justify my season and a half of Blindspot). But eventually even a hatewatch has diminishing returns and must have better things to do with your time. What is my point? That it’s currently cool to hate? That snarky art criticism has moved from oils and interpretive dance to TV? That the current sociopolitical polarisation is affecting everything? I’m not sure except that I’m a little sad that 2019 culture has poisoned something as banal as virtual water cooler talk about last night’s TV. I remember my first Monty Python sketch. 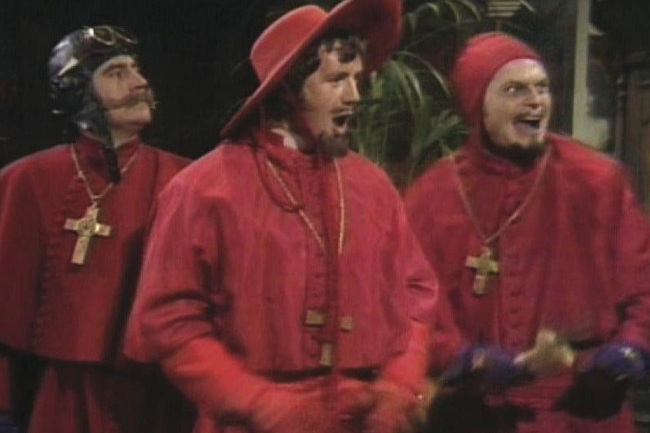 It was The Spanish Inquisition (you know, the one no one expects?). I was about 11 and it was shown late at night which was the only time we could get the grainy, over-the-air, low powered public television station from Buffalo. My dad and I loved British TV which, then as now, was the staple of PBS, but we had never seen anything like this before. For about two weeks we shouted “No one expects the Spanish Inquisition” at every opportunity until my mom told us to cut it out. Until I was telling this story the other day, I never realised how much Monty Python influenced my life. To this day my favourite kind of humour is absurdist. I find juxtapositions in style and situation hilarious and it has influenced my art and writing. The movie Monty Python and the Holy Grail probably was one of the major reasons I became interested in medieval studies and ended up studying it at university. (Ironically I’ve always said I had such a difficult time learning Latin because I didn’t go to university until my late twenties and the portion of my brain that was allotted at birth for learning Latin had long since been filled with Monty Python scripts). When I was in high school all the nerds could rattle off long speeches from various Python sketches. It was a nerd rite of passage. Thank you Pythons, for everything. 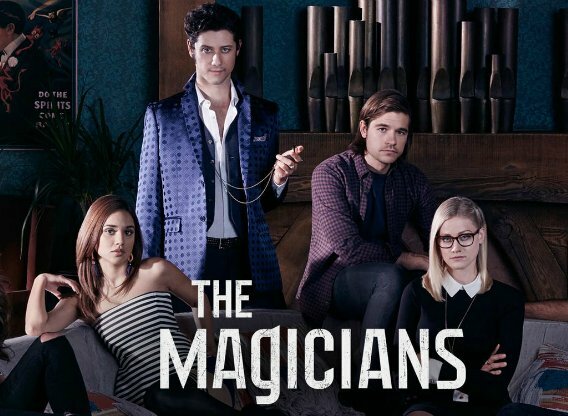 When I first posted regarding The Magicians, waaay back on February 2, 2016, I was not sure it would grow on me. The characters were either bitchy or whiny, and the plot was unnecessarily convoluted. Oh, the humble pie, I now have to eat! Tasty, tasty humble pie. I am ecstatic to say how wrong I was. We just finished watching the 3rd season and the character growth has been phenomenal. 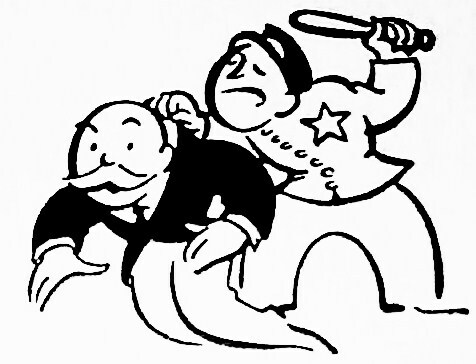 Bitchy characters have matured into responsible and empathetic adults, and whiny characters have toughened up and stepped up. What seemed to be an unnecessarily convoluted plot turned out the be sharp, intricate writing, with call back to arcs of two seasons previously. I still have not read the books, so I don’t know if the sharp writing is a direct port over from the books. The main actors are all amazing finds, and the supporting characters are also really well cast (my personal fave is Tick Pickwick). I would urge anyone who hasn’t watched this show to give it a try. Like me, you might have to give it a few episodes for the characters to grow on you, but they definitely will. One of the most interesting TV shows this past few months is a mid season replacement called APB. The plot can basically be summed up as ‘Elon Musk buys a police station’. Literally, that’s it. Barely fictionalised billionaire spends his money and his genius to help poor but honest cops fight crime in one of Chicago’s worst precincts. One of the things I had forgotten in my years away from enterprise is how shabbily they treated the Vulcans. JJ may have nuked their whole planet, but Enterprise turned them into villains. For a species that prides itself on its intelligence and logic, Enterprise has sure made them a bunch of superstitious, judgemental dicks. I watched Enterprise back during it’s original run and it was definitely my least favourite of all the Treks. Setting it before TOS was always going to be problematic due to technology outstripping that of TOS, but I remember it having other problems as well. Recently, with all the Treks on Netflix we decided to have a re-watch of Enterprise. Currently we are halfway through season two and I wanted to share my thoughts. I like most of the characters more than I remembered, particularly Phlox and Mayweather. Even T’pol, who I did not remember with fondness, is more than just a tight jumpsuit (they really did her character a disservice with that costume) but boy do I dislike Archer. My bff once gave to me the postcard pictured above, somewhat ironically as she loved Archer and she knew I am a Kirk girl til I die. Archer is supposed to be a contrast with the conservative, logical reasoning of T’pol, but it’s amazing how often she is right. He frequently jumps straight in when he should be a bit more cautious. He often doesn’t take the accepting new cultures thing to heart, frequently going the “well, we’re humans and that’s not the way we do it” approach. I regularly wish Trip was captain and not Archer. for everything). I already want him as Captain Laurence if they ever make a Temeraire movie. good again. I’m iffy on this one. Nothing specific to say, except I really like this show. Barry loses his speed, he gets it back again, life goes on. It’s solid popcorn fun with extremely likeable characters and decent writing. For no real reason it is less soap opera-y than Arrow, with a lot of solid humour. Carlos Valdes as Cisco is especially good, as is Tom Cavanagh. The Supergirl crossover was entertaining, though it didn’t make me want to watch Supergirl. I like the premise of this show, I like the characters, and I like the futuristic universe with the cool ship and the AI Gideon. But the plots of this show are, well, not terrible, but not coherent. Pretty much every problem could be solved by time travel, but the rules of the universe somehow prohibit it. We don’t know how because the rules have barely been explained. Rip “not-the-Doctor” Hunter says they can’t do it, and everyone pretty much just buys in. I find it hard to blame the writers as good time travel is difficult to write well, plus they have an ensemble cast who all need decent airtime. Still, I read that season two might have more self contained episodes, so this might help. At any rate, I’m looking forward to it. Stay tuned for Pt 3 in a few days.